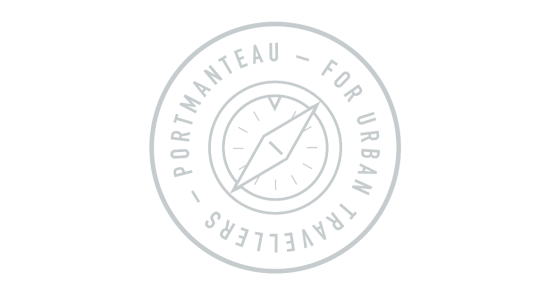 Portmanteau was born in 2014 with the aim of proposing a responsible hospitality in the city, as well as to promote creative projects able to transform the perception of places we pass through and live in. I set up a house open to the traveller who is not only in search of somewhere to spend the night, but also somewhere to be immersed in the real, lively social life of Torino. It is situated just a few minutes from the city centre and the Porta Susa train station, bordering on the historical Aurora district and the Quadrilatero Romano district. Portmanteau offers an informal atmosphere that promotes the exchange of ideas and experiences, valorizing the importance of the encounters we make along the paths we take through our cycle of life. I decided to live here, in Torino, because I felt the presence of a strong tendency towards social and cultural innovation, the capacity to interact with change and the presence of the art of reinvention. In fact, each and every piece of furniture and object inside Portmanteau has been chosen with care because it has its own part to tell with this “love story”, thanks also to the collaboration of local artists, designers and artisans. I believe that each and every one of us is able to become a generator of culture and new prospectives for the place we work in, project and cultivate our passions. This is why I am always happy to suggest unconventional strolls through the city in collaboration with experts, associations, laboratories, shops and places to eat and relax in that adopt sustainable and creative approaches. Those who already live in Torino are invited to come and sit down to a good cup of coffee in a cosy environment, chatting about the most wide and varied proposals of collaboration. The common area was born to listen to the stories and ideas of everyone. Portmanteau means coat hanger, but it also indicates a historical model of a suitcase that opened into two equal sections. Its personality is built up by anyone who hangs up their coat for a while and who is willing to share what’s inside their suitcase with others. Well, all that’s left so say is “Welcome”!